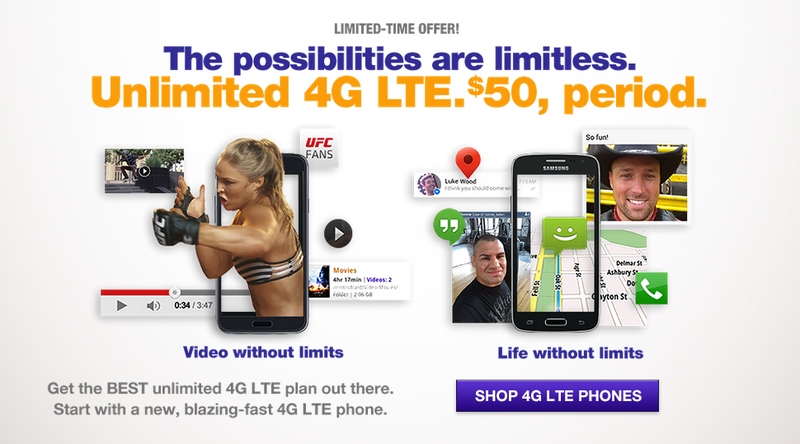 This morning, MetroPCS unveiled a new Unlimited 4G LTE plan priced at $50. Folks who sign up before April 5 receive no pre-planned end date, meaning you can enjoy your speeds with confidence, riding on T-Mobile’s nationwide LTE network. The pricing structure is basic enough. For $40 a month, users receive unlimited data, talk and text, with 2GB of that data being high-speed. For $50 a month, you receive the same features but with 4GB of high-speed data. Lastly, for $60 a month, users get the unlimited 4G LTE data, talk and text, but when you sign up before April 5, you only have to pay $50. If MetroPCS is your provider, it is a solid deal. To be qualified, you will need to have a MetroPCS device with LTE connectivity, but of course, if you don’t have one already, Metro will be happy to provide you one for a small charge. Interested customers can find more info here. MetroPCS Serves Up Unlimited 4G LTE for an Unheard of $50, period. Bellevue, Washington — January 21, 2015 — T-Mobile’s (NYSE: TMUS) flagship prepaid brand is helping customers get more of what they want out of their wireless plan − more blazing-fast 4G LTE data. For a limited time, MetroPCS customers can upgrade to Unlimited 4G LTE data for the unheard of price of just $50 per month. That is the undisputed best Unlimited LTE data plan in the prepaid industry. And, unlike some “promotional” offers, when you sign up by April 5, you get Unlimited LTE with no pre-planned end date, so you can enjoy your Unlimited LTE plan with confidence. Even better, it’s all riding on T-Mobile’s nationwide 4G LTE network. And on top of that, every MetroPCS customer with a 4G LTE data bucket will get an additional gigabyte of 4G LTE data on T-Mobile’s network starting today – automatically. No hoops to jump through. You don’t have to do a thing. $50 promotional plan available only to customers with MetroPCS GSM phones with LTE connectivity. Bring your own device phones and CDMA phones are not eligible for this plan.